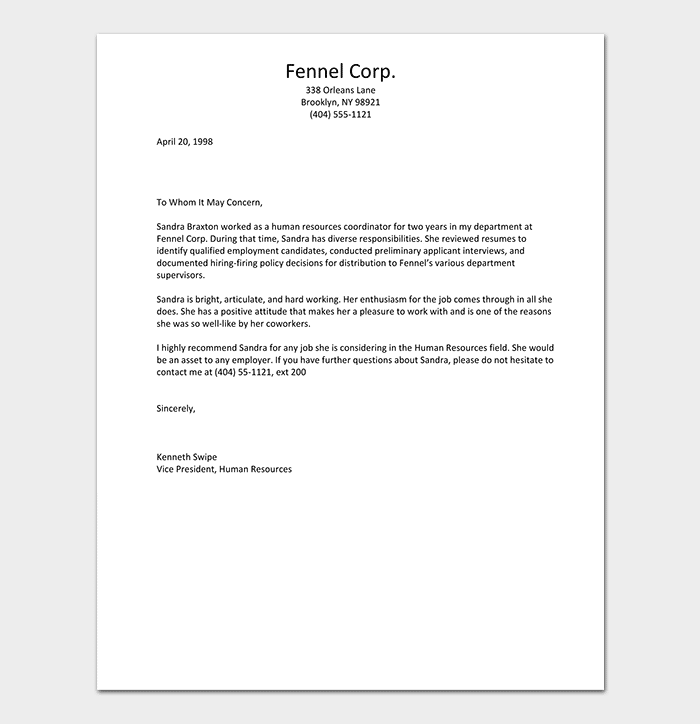 A human resource reference letter is an official document written by the company an employee is leaving to the new company they are applying for an open HR position. In this document, the previous employer or company outlines the employee’s professional details, their characteristics, qualities, and achievements. The letter has to be written by a person who has played a supervisory role in the previous company. It is used by the new company to confirm whether the items the applicant has provided are correct and accurate. 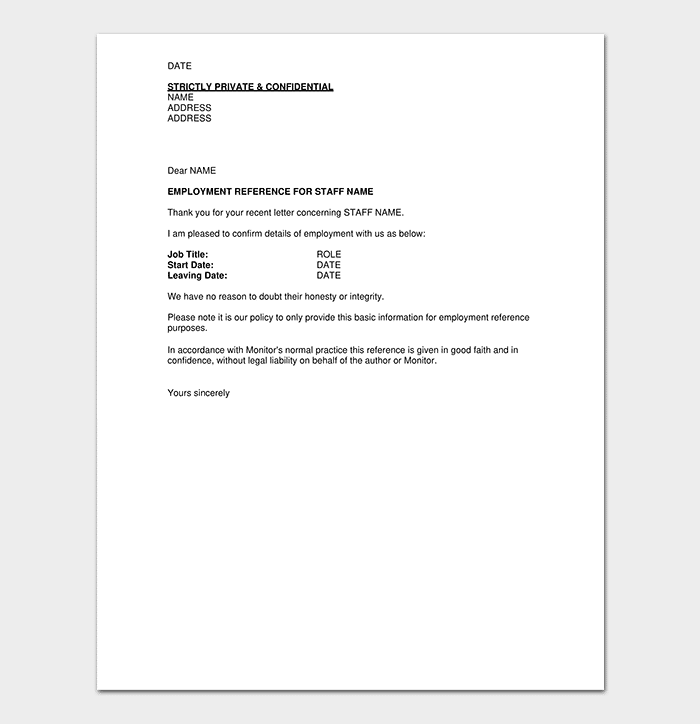 For a HR Reference letter to be complete, it has to follow the right layout which is provided by the template. 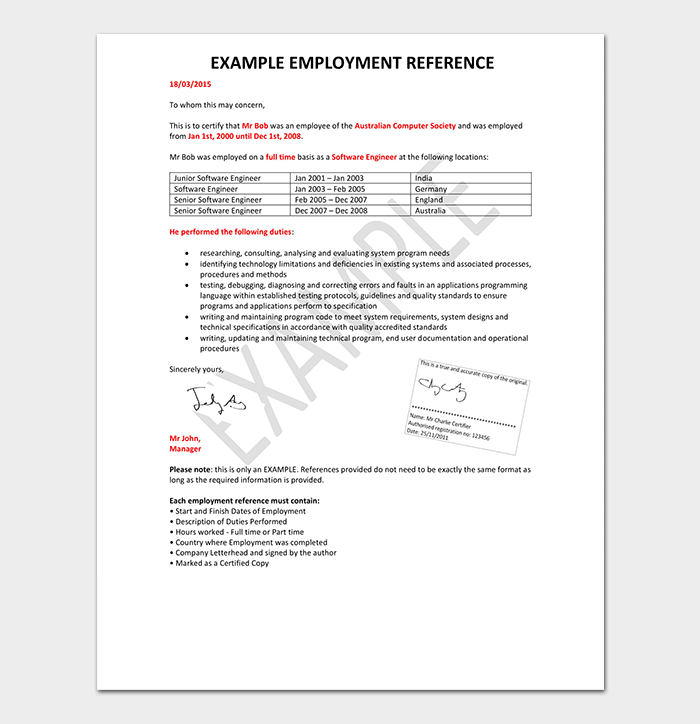 A HR reference letter template consists of the head, the body, the summary, and the conclusion. 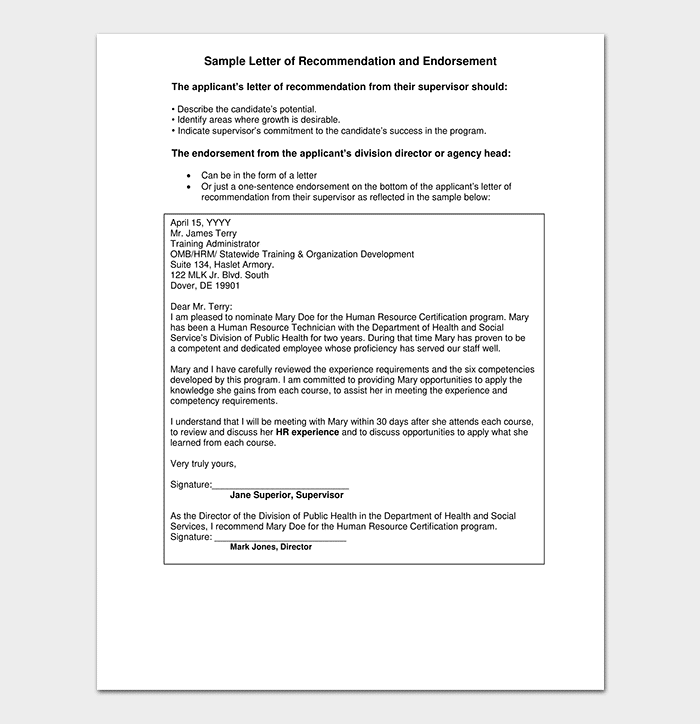 A HR Assistant Reference letter is a document that acts as a recommendation letter and is written for an employee who is applying for a HR assistant job. It provides reasons why the person should be hired for the position they are applying for. 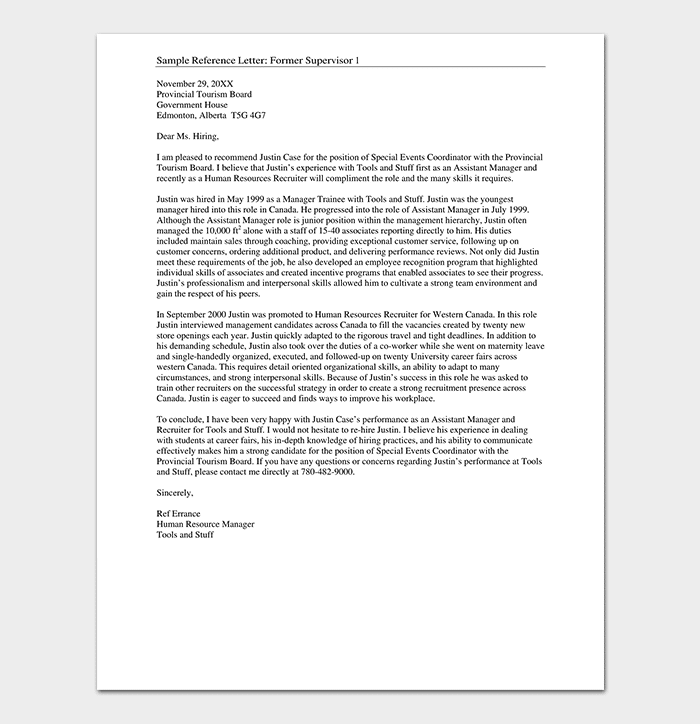 HR manager reference letter is a document that provided by the previous company to an employee who is applying for the HR manager position in a different organization. 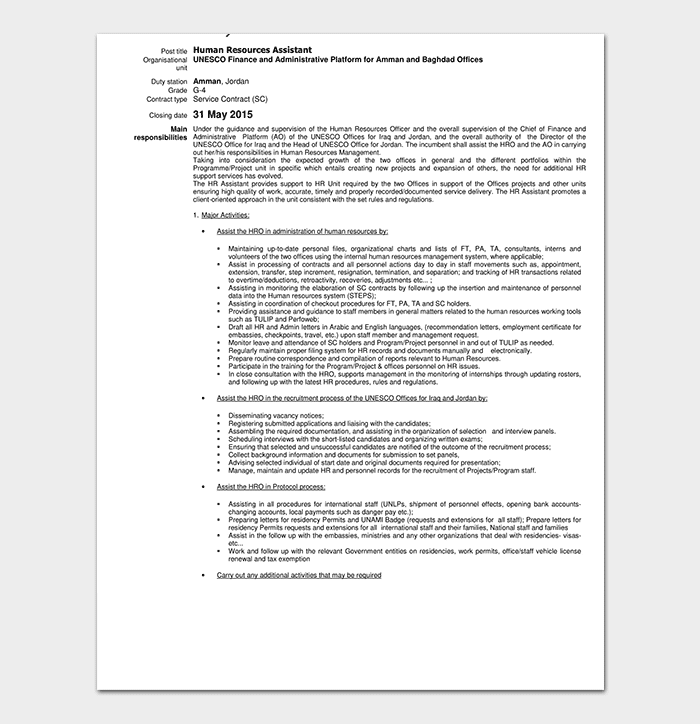 HR Reference Letter is a letter written outlining the personal qualifications of the person applying for the position of the human resource personnel. There are various reasons an employee would choose to move from one company to another. It could be due to a relocating spouse, the need for better wages and salaries, moving to a different are divorce or other severe family issues. An employee in such a situation should ask for a reference letter which will act as a positive recommendation and assist them in the job search. 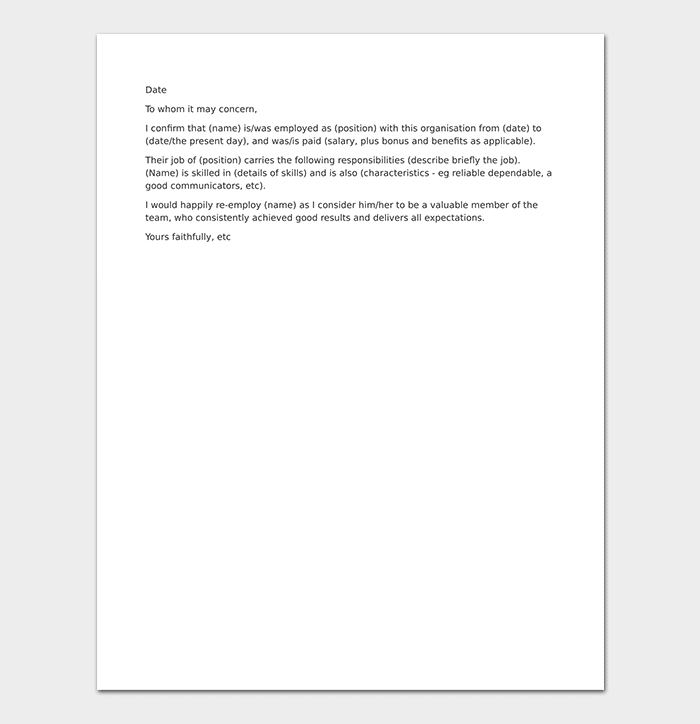 The HR reference letter template should be used to provide the format that the letter should follow. These templates can be found on the internet.